Shane WHITE and Ted RALL will please you for MONEY. It’s true, we’ll both take you on. 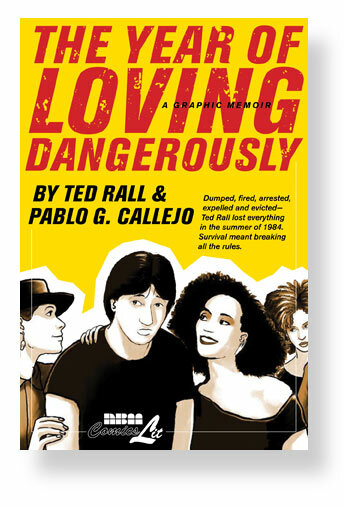 Our books THINGS UNDONE which is garnering steady praise and Ted’s THE YEAR OF LOVING DANGEROUSLY will rock your socks at this weekends ALTERNATIVE PRESS EXPO in San Francisco. 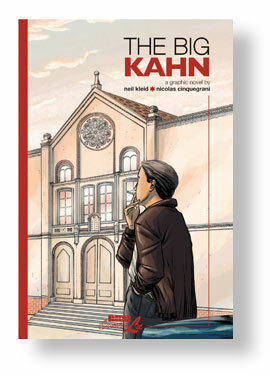 We’ll be there all weekend to serve you the finest selection of the latest graphic novels from NBM Publishing. Do yourself a favor, don’t let the nice weather fool you come by and check us out at booth #328. You’ll be so happy you won’t even be able walk. Author Shane WhitePosted on October 16, 2009 Categories BlogTags Shane White, Ted Rall, The Year of Loving Dangerously, Things Undone2 Comments on Shane WHITE and Ted RALL will please you for MONEY. Come meet Ted Rall and Jesse Lonergan as well as Greg Houston at SPX the weekend of 9/26-27 in Bethesda at SPX as they premiere their latest! 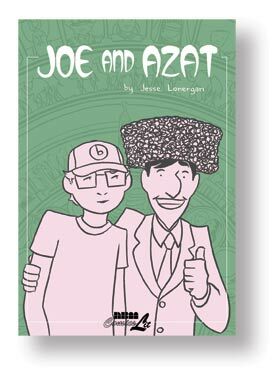 Jesse LONERGAN will premiere JOE & AZAT, fresh off the press, based on his Peace Corps experience, a very entertaining wild ride! Greg HOUSTON will be on hand to show pages of his very soon to come totally outrageous VATICAN HUSTLE. And these guys will have a number of our recent books besides theirs to sell. So if you’re coming to SPX, one of the best indie comics shows around, make sure to stop by and say Hi to our guys! 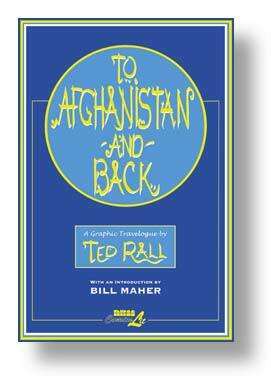 Ted Rall’s book on his trip to Afganistan right in the middle of the war after 9/11 turns out to be dead-on these many years later. Ted predicted things wouldn’t be so easy and that the Taliban was hardly wiped out. Afghanistan has historically been the doom of empires from the UK to Russia and alas, the loathsome Taliban just keeps coming back to haunt us in a similar fashion. Now we hear the Obama administration is mulling over sending in more troops, that things aren’t going well. Most interestingly, that the elections may have been marred by extensive fraud which shines a very dim light on the US propped-up government of Hamid Karzai. I didn’t want to hear it back then but I gotta admit, Ted was right. We hadn’t heard the last word from this quagmire and being involved is like sinking in quick sand. If you didn’t read his To Afghanistan & Back, you’ll find it fascinating and ever so relevant today. He rushed out there bravely in the middle of the war zone and had the balls, when we all were bloodthirsty for revenge and waving the flag, to denounce what he saw as the uselessness of this action and uncover its absurdities. It’s a collection of articles he sent in to the Village Voice and chapters in comics showing his adventure and what he saw. We’ve sold over 20,000 copies making this one of our best-selling books and it’s his best, I think… until maybe now when he’s about to bring out Year of Loving Dangerously which has NO politics and is about a tormented part of his life as painted by Pablo (Bluesman) Callejo. As this is about to come out, a good time to check out a significant previous book of his.